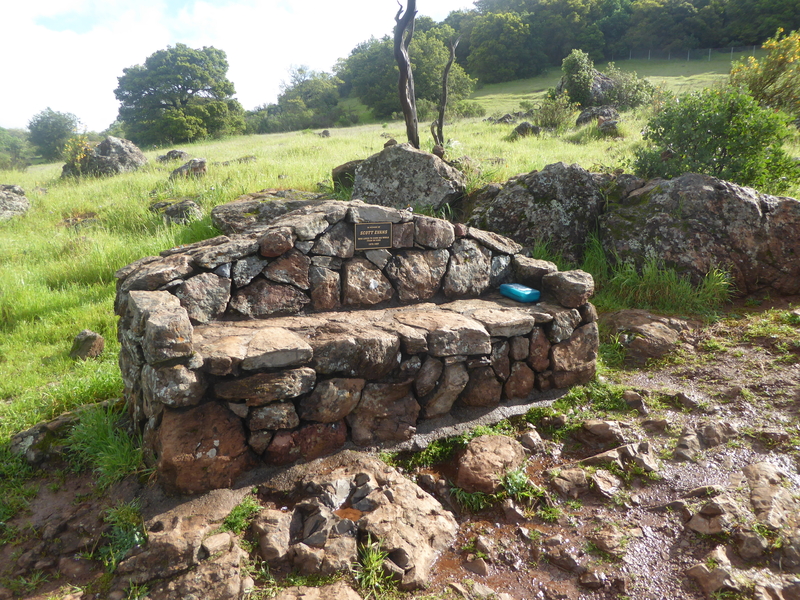 One of the features unique to the Sonoma Overlook Trail has been our Hiker Notebook, which is left at the bench at the top (see the blue box in the photo). Hikers are invited to “share your thoughts, express yourself, or just sign in!” And many of them do, as it turns out. 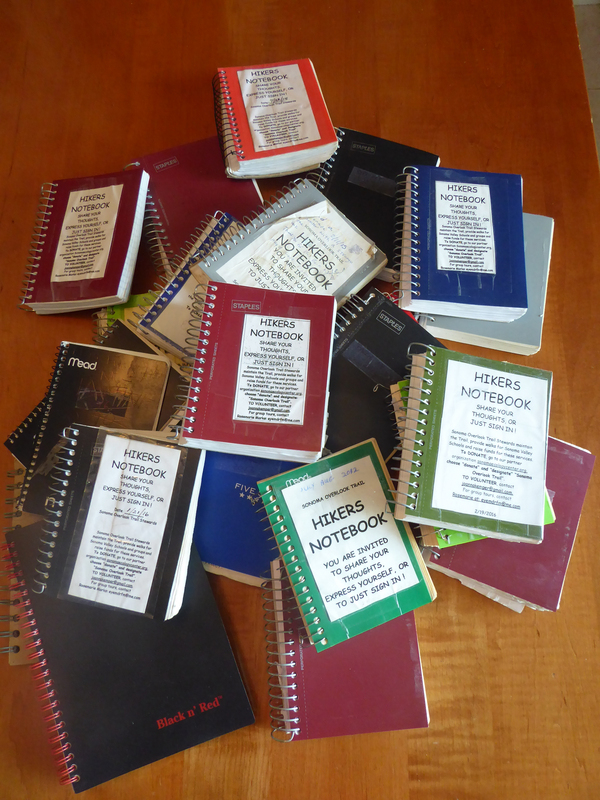 Over the years we have accumulated 23 mostly-filled notebooks, and now we are launching a project to comb through them and share some of the best entries in a series of blog posts. This post will eventually link to all of the posts of the series, so that there is one spot to get to them all. In going through the books I was struck by how many people hiking the trail come from far away — from distant U.S. states but also foreign countries. They express deep appreciation for the trail and the experience of hiking it. Other writers are inspired to wax philosophical, create a drawing, or express deeply held emotions like loss and heartbreak, hope, appreciation, and peace. These themes and others will be highlighted in the coming posts that will depict entries supporting that theme. Names will be redacted. I hope you enjoy this series of posts as much as I have enjoyed reading your entries. You are a diverse and interesting group of hikers and it’s been nice to get to know you by even a tiny bit. Keep sharing!